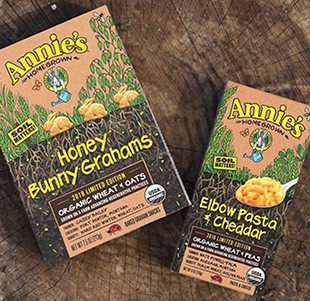 Annie’s has always been committed to sustainability and organic farming. 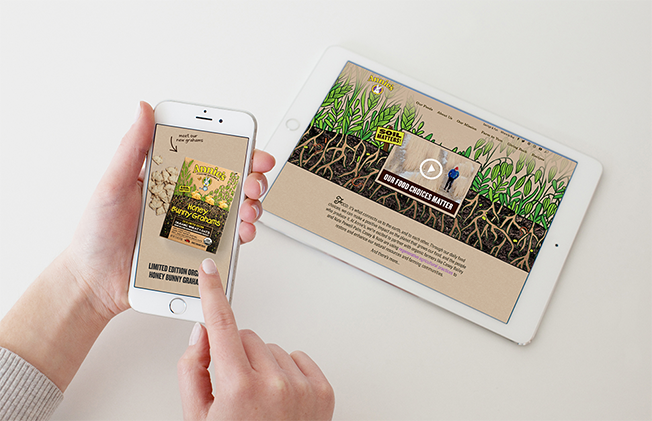 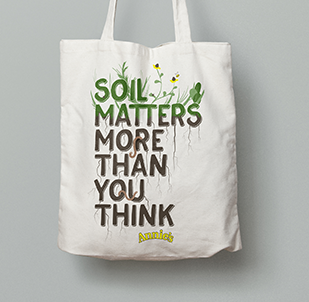 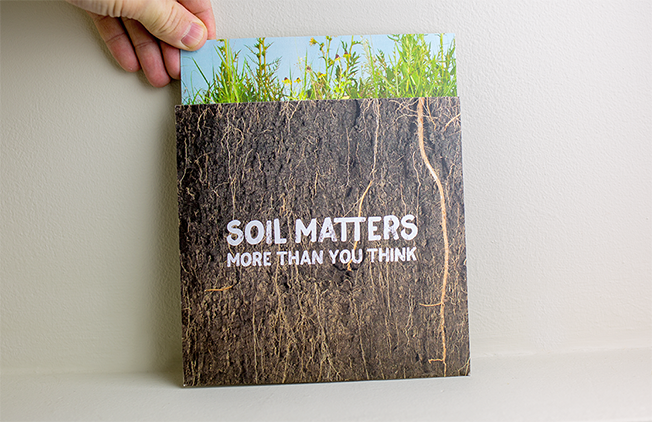 But they decided to take it one step further and invest in regenerative agriculture and raise awareness around the importance of soil and soil health to our food system. 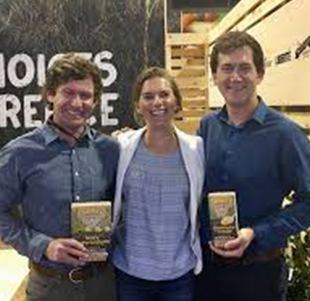 We helped them craft their messaging around their regenerative efforts and their new products made from ingredients harvested from regenerative farms. 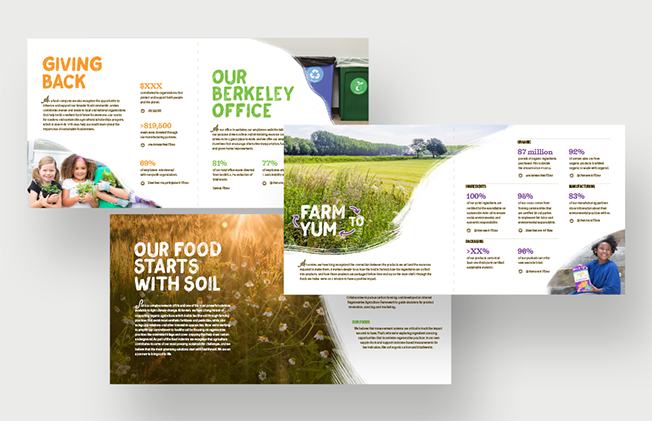 We brought this to life on the website, their yearly sustainability report, and a custom landing experience around the products. 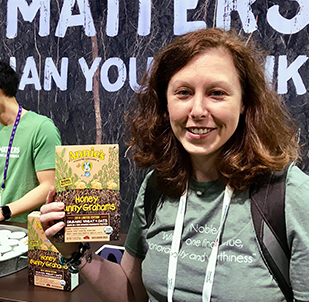 As part of the launch, they decided to take a bold stance at Expo East and West. 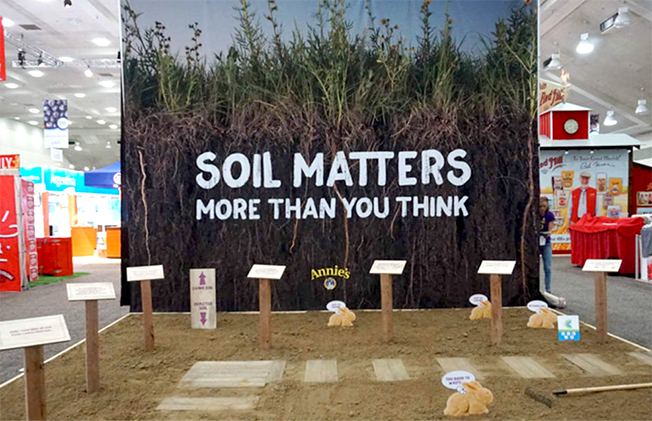 They dedicated their booth to the “Soil Matters” messaging.